Too chewy, not chewy enough. To heavy, far too light – baking can be very difficult to get right and the ones who do manage to bake perfectly every time are the usually the ones with lots of practice. 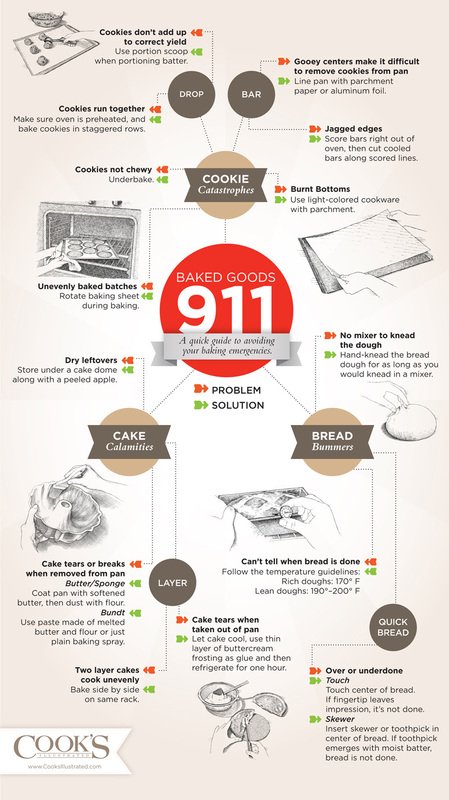 That's why we brought you this great baking infograph from the team at Americas Test Kitchen. They set out all the rights and wrongs for baking. What to do if a cake breaks when getting it out of the pan and how to make sure your cakes never run again. All these tips and more are given in this Baking 101 Infograph. Happy Baking!